Created by Homeland and 24 writer, Patrick Harbinson, ITV’s thrilling drama series Fearless is now available on DVD and Digital Download. Starring Peaky Blinders‘ Helen McCrory, the gripping six-part drama follows Emma Banville, a human rights lawyer known for defending lost causes, as she sets out to prove the innocence of Kevin Russell, who was convicted for the murder of a schoolgirl, Linda Simms, 14 years earlier. A crime which Kevin maintains he did not commit. 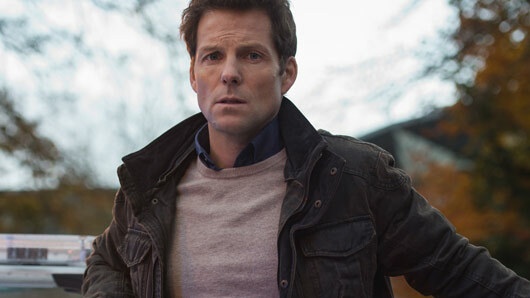 We spoke with Jamie Bamber, who plays local MP Matthew Wilde on the show, to discuss everything to do to with the series. Fearless has been massively popular since airing on ITV this June. 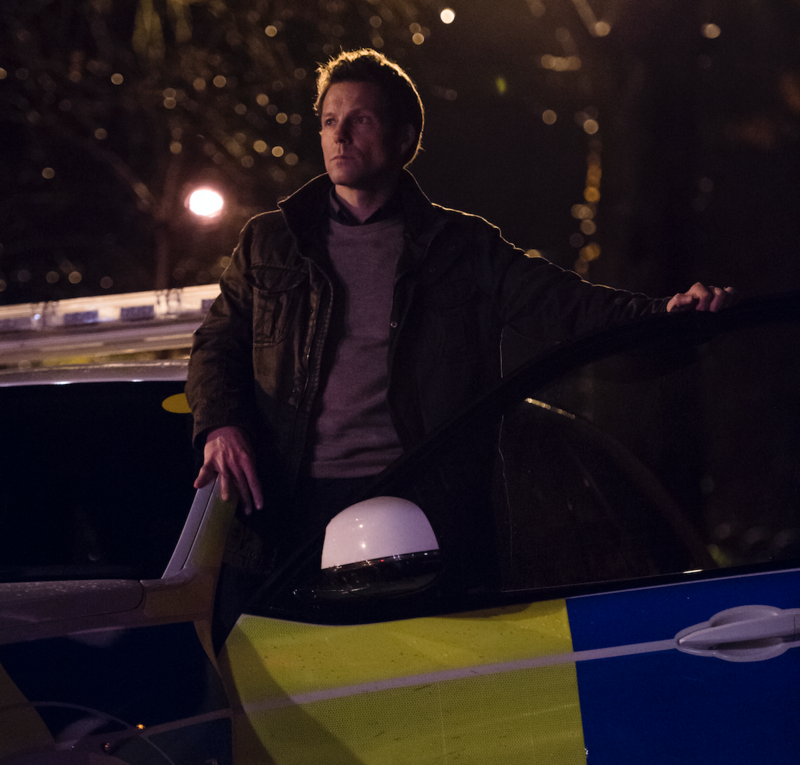 What is it do you think that differentiates the series from so many other crime and legal dramas out there? 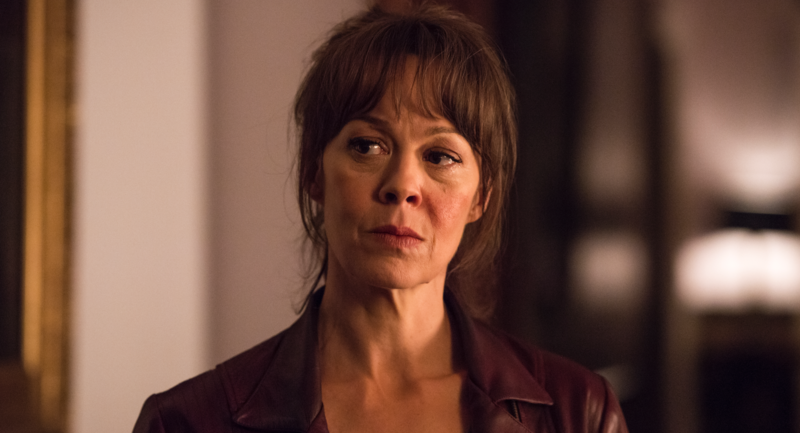 “I think the central character and Helen (McCrory)’s central performance is key to this. She is such a raw and honest actress. And for her character, the stakes are so unbelievably high. “Her personal life is all over the place, and yet her professional life is pulling her in the opposite direction. She’s a passionate believer in truth and justice and fighting for the underdog, but in the present climate we sacrifice the individual for the wellbeing of the state and she knows that’s not a cure. The show has quite strong political undertones and the title sequence even features clips of speeches from Thatcher, Trump and Blair. Given the political climate in Britain (and globally) at the moment, is this one of the show’s main appeals would you say? “Absolutely I would. I love the title sequence of our show – I get goosebumps every time I watch it. Any telly drama you watch where you get that shiver and you’re like ‘this is potentially really going on right now’, it just raises the stakes. Now, you play Matthew Wilde, who’s introduced to us at the start as a local MP and a bit of a local hero. Can we expect to see another side to Matthew as the series progresses? “(Matthew) seems to be very invested in what’s going on with this apparently one-off, lone murder and Kevin’s guilt. He originally pops on the scene as what seems to be an idealist, a man of principle, a soldier; who’s learnt the brutal lessons of war and wants the country steered in a more responsible manner in the future. But as a viewer you’ve got to think there will be more to come. It is the viewer who ultimately pulls the connections together and that’s part of the joy: that the viewer gets to do the work. Were there any politicians in particular you looked to for inspiration when approaching your character? “To me the important bit was he is a soldier first, and then a politician. And so I think of those people that have gone into politics having come up through a frontline experience of what it means to be sent to war by a government. The single person that pops in my mind is Paddy Ashdown, who previously led the Liberal Democrats, and he seemed to have unquestioned integrity. Nobody questioned his integrity. So I wanted to bring that kind of honesty and the simplicity to the role. “Tony Blair was another name that came up because he was someone who reinvented the way politics on the left was pitched in this country, and I know Pete Travis (director) was very focused on Tony Blair’s charm, charisma and ability to communicate. One of the fantastic things about the series is the cast. How was it working with everyone on set, including the likes of Helen McCrory and Michael Gambon? “When I was first offered the job it was at the front of my mind to work with truly talented people who I’ve admired throughout my whole career. I remember watching Michael Gambon on stage probably when I was around 13 or 14 and people like him galvanised my interest in becoming an actor. It was a huge thrill to finally meet him and work with him… And experience his mischief and humour, which he still has in bucket loads. He regaled me with stories and he’s a wonderfully warm company actor. “And the same is true for Helen. She’s a theatre actress first and foremost and I first saw her on the stage when I was at drama school, when she blew me away with her frankness and honesty. Without giving too much away, what should viewers expect as the series unfolds? Fearless Series 1 is out on DVD and Digital Download now.